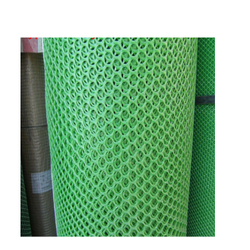 The wide range of Water Well Net offered to our patrons is manufactured using premium quality HDPE obtained from reliable vendors of the market. Offered in various specifications laid by the customers, our good nets have helped us cater to their variegated demands and requirements. We make these nets available in sizes of 2 meter, 1 and 1.5 meters. Widely used in agricultural and residential sectors to prevent crops from dust, our products have helped us garner a rich clientele in the market. Looking for Water Well Net ?